i mean ABSOLUTELY NO OFFENSE with this, but i fail to see how this is relevant to the runescape gallery .-. 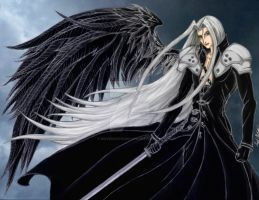 For once, I actually think Sephiroth is hot. wow, it's so gorgeous !